What Amari are (and also to what extent is is difficult to strictly define them) I have already dealt with in a little more detail in another context, which is why I don’t want to further investigate on terminological problems here. Instead, today’s article once again focuses on an Italian herbal “liqueur”: the so-called Alpestre. The appearance of the bottle tells us a lot about this spirit. The most obvious feature is certainly the colour of Alpestre, which is characterised by a light, transparent honey tone. Here, the Alpestre clearly differs from most of the Amari available on the market. Much more important, however, seems to be a reference on the label that throws a completely different light on this distillate: “Senza Zucchero” can be read there, which means nothing more than “without sugar”. Well, how could a liqueur have been made without sugar? The answer is quite simple: it is not a liqueur at all, but a herbal distillate. 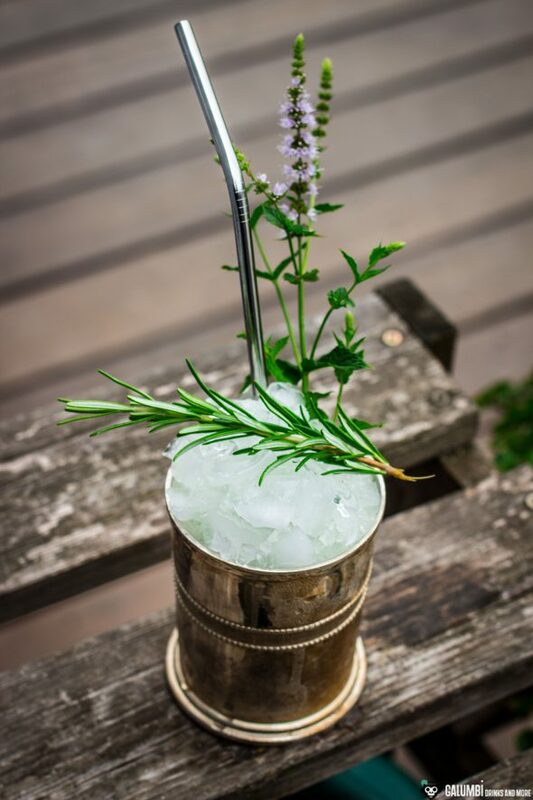 Therefore, we are not simply dealing with a spirit that only differs in terms of herbal recipes, but with a distillate that really steps out of the line of its herbal-Italian relatives. Apropos “herbs”: 34 in number do find their way into the production process of Alpestre and the manufacturer stresses here that no sugar or other additives are used (it is revealed that thyme, wormwood, lavender, angelica, fennel, mugwort, sage, mint, melissa, lemon bush and camomile are also used – if there would be juniper among those herbs, the 44% vol.-Alpestre could even be called a gin). The honey-yellow color is obviously not the result of colorings, honey or other sweeteners, but is rather the result of barrel ageing in Slavonian oak barrels in Campagnola, where the Alpestre is produced. Nothing is known about the exact length of maturation (apart from the marketing formulation “over a long period” – and since we also know nothing about the Slavonian barrels, it is hardly possible to tell from the colour of the distillate how long this period really was). Well, another word about marketing: The story around the Alpestre tells of a Marist monk named Brother Emanuel, who is said to have prepared the Alpestre according to a secret recipe for the first time in 1857 (my brief research revealed to me that the Marists were a group of religious orders founded by the French monk Jean-Claude Colin at the beginning of the 19th century). Of course, we know from many similar stories that today’s method of preparation does not necessarily have to correspond exactly to the secret recipe of the founding days, but perhaps this is indeed the case with the Alpestre. But now to the essentials! Aroma: The nose immediately reminds of an intense herbal tea, a whole bouquet of herbal aromas opens up before the mind’s eye. Camomile, fennel, mint, melissa, lavender, thyme and sage can be found immediately, further of the used herbs are also there, here the honest character of the Alpestre shows up very impressively. Taste: On the palate, too, the associations of herbal teas remain, which are transported to a very intense level by the alcohol. 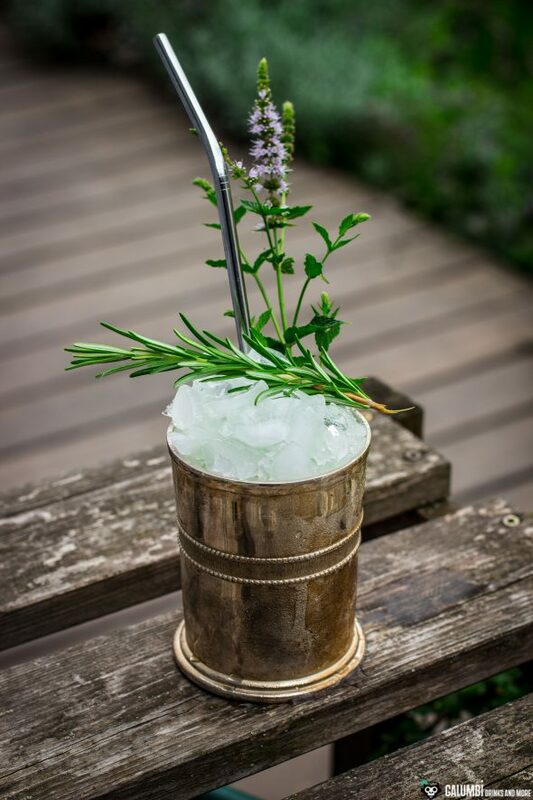 The alcohol is by no means sharp or biting, but does what it should do: to offer the herbs the stage to unfold them in the best possible way. 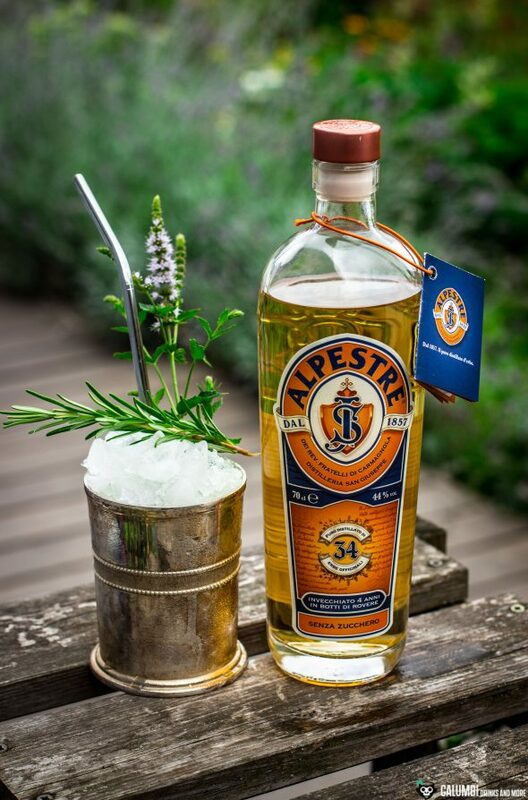 If you really want an unadulterated herbal distillate, you will surely be happy with the Alpestre! Finish: long-lasting, herbaceous, especially with camomile, fennel and sage. It should be mentioned here that there are also other bottlings in the Alpestre series. 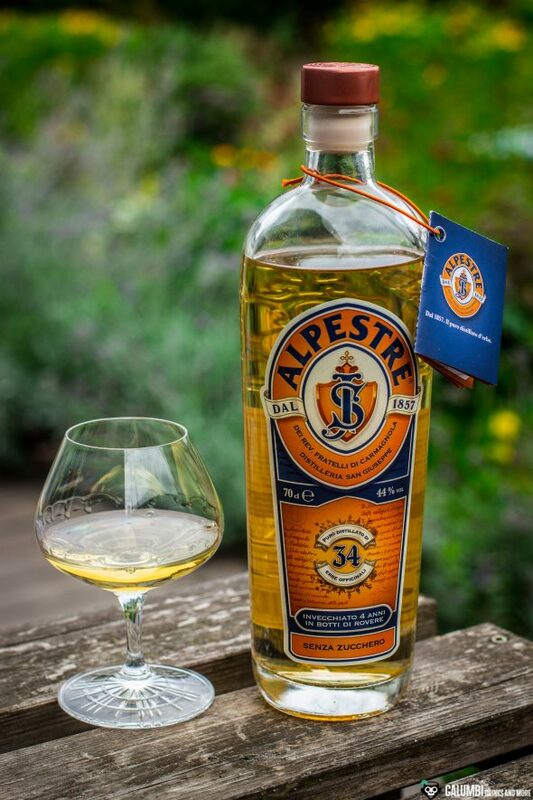 The Alpestre Riserva Speciale 1983 is a much longer matured variety and with the Alpestre al Miele you will find a sweet liqueur representative made with honey. 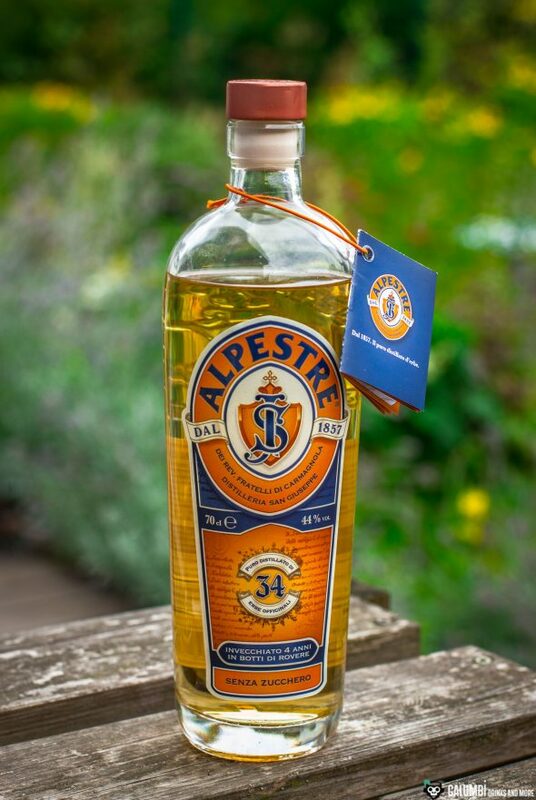 I mention the other bottlings mainly because I have mixed one of the signature drinks of the Alpestre, although it is actually a recipe for the sweet Alpestre al Miele. The sound “Le Mer de Glace” is basically a kind of fizzed up julep cocktail with rosemary and mint, which immediately appealed to me. However, if you’d prepare it with the regular Alpestre, a certain sweetness would be missing. So I just worked with some honey syrup. The result is a beautiful, herbal cocktail, as I love it! Acacia honey syrup: Simply mix acacia honey with water in a 1:1 ratio in a pan and let it simmer until it has reduced a little. Finally let it cool down. 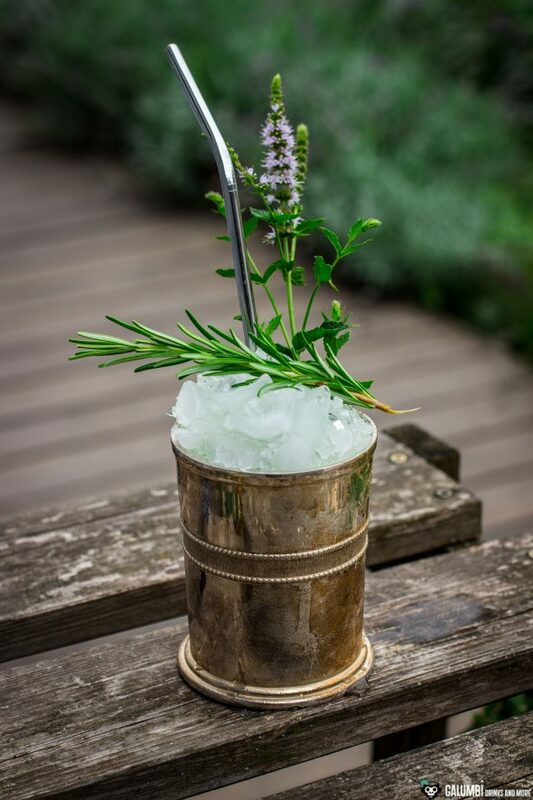 Preparation: Place honey syrup and herbs in a julep cup and muddle them carefully without shredding them apart. Try to muddle alongside the entire inner wall of the cup. Finally fill up with crushed ice, form a cap of ice on top, then let the Alpestre and finally the Absinthe trickle through the ice from above. Buying sources: The Alpestre can be purchased from Conalco, for example.